Tired of throwing a dart at a target and hoping you hit? With Sparks Systems scientific approach to training and nutrition, you will hit every time. Sparks Systems utilizes metabolic testing to pinpoint inefficiencies in both training and diet. Addressing these inefficiencies enables maximum return on investment from both a training and nutritional standpoint. Please feel free to contact us directly at info@sparkssystems.net for more information. Anna Sparks has been working as a personal coach for over six years. Anna is remarkably qualified for a science-based approach to coaching and has an undeniable genuine desire to help athletes realize their full potential. Anna’s impressive athletic resume began with the Ole Miss Rebels Soccer Team at the University of Mississippi where she also received a B.S. degree in Exercise Science and Master’s degree in Exercise Physiology. She began dabbling in cycling and triathlon in 2004 after her collegiate soccer career. 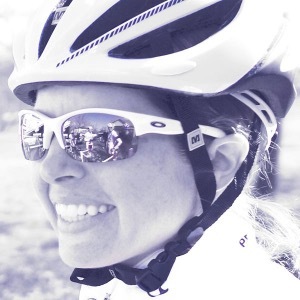 She realized her talent on the bike and transitioned to competitive cycling in 2009 and currently races professionally on a UCI women's road team, Visit Dallas DNA Pro Cycling. In addition, she competes in several endurance mountain bike events around Arizona. Success. Coach Anna Sparks has been notified of your message.